Home Products Inc.: The Nutone Way. Nutone offers much more then just Bathroom Fans, they also manufacture top quality Paddle Fans, Heaters, Exhaust Fans, Central Vacuum Systems, and Intercoms. Nutone is a company with good rapport on all angles of home improvement products. The Nutone line of Bathroom Fans are just one of their many product lines that have earned good reputation and currently dominate the market. You will find that Nutone has a wide range of ventilation products for the consumers. These are innovative solutions that are hard to find anywhere else, and this is what sets Nutone apart from the competition. Bathroom Fans by Nutone are built with the specific needs of every customer in mind. There are many sizes and shapes to choose from, as well as exhaust fans with decorative lights, heat and similar features. You will be more then happy to choose from all sorts of Nutone Ventilation fans, Inline Fans and Through Wall Fans. Each one of them has special advantages and is built with quality materials here in the USA. You don't have to worry about their durability, just pick the fan that suits your needs best. Ventilating your room with one of the Nutone Bathroom Fans will dramatically suppress the chance of mold and mildew buildup. You can also choose a bit more decorative fans, which will be practical and also look classy. If you love the style your bathroom has, there is no need to spoil that. Pick a decorative Nutone Fan and get rid of all your problems while making your entire area look stylish and luxurious. Luxury Bathroom Fans can be a bit more expensive, but they are well worth the money. Nutone makes one of the best fans. 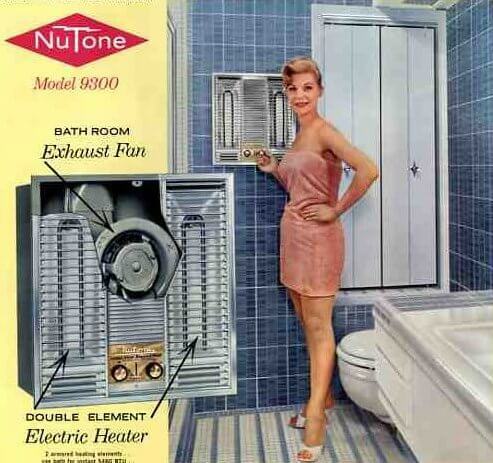 Concerning the quality, you can never go wrong with a Nutone Bathroom Fan.